ECOWELLNESS, ÖKOHOF- WELLNESS,(organic wellness farm) , ÖKOWELLNESS CLUB EPICURE, NEW HEALTH MANAGEMENT (NHM), PRIVATE HEALTH MANAGEMENT (PHM), „Synergy Balance“, “Prevention Balance “, the slogans and headers including the domains „Delight your Healthiness“, „Enjoy yourself slim“, Epikur- (Epicure) and the Epicure Gourmet Diet, „The Slim Weeks (Die Schlanken Wochen)“, „The Slim Beer (Das Schlanke Bier)“, TAO Syrup – the slim sweetener et al. All brands and systems partly go back to a developmental period starting in 1985 and are exclusively marketed by this company. INArt offers the brand ECOWELLNESS and its standard systems, products and programmes of their own and of their strategic partners’ portfolio to major medical practices, certified health practitioners, therapy centres, integrated supply centres with customized advice within hospitals, clinics, wellness hotels and to the upper level retail market like pharmacies and health & nutrition shops with individual service and advice. It is our aim to select the products of the best producers of foods and dietary enhancements, of diagnostic systems , of medical equipment, medical and nurturing cosmetics, healthy environment protection and technical systems et al. and to deliver these to the market one-stop by marketing, licence or cooperation agreements and/or strategic partnerships under the family brand as well as according to the quality criteria and the corporate vision of ECOWELLNESS and its standard, which has been approved and accredited by IFOAM www.ifoam.org and associated official institutions. It is our strategic aim to establish a strong network of ethically and holistically acting companies and experts that bring about positive synergies for the individual as well as for the entire network in their coactions and cooperation and thus gain relevance in economy and civil society .G-Live can identify with this aim and agrees to this corporate, social responsibility and the ethical standards of Ecowellness. High quality functional and social responsible and INTELLIGENT,ORGANIC foods, developed in accordance with ayurvedic or TCM dietetics, blood types, classical western medicine (haemogram, blood chemistries, analysis of the intestinal flora , genetic types et al. ), your personal demand and with recipes and concepts developed by R. S. Tomek in cooperation with a team of scientists, physicists, top chefs, experts and alternative certified health practitioners. These are certified organic products according to the IFOAM standards, and the EU Norm 834/2007 ( previous 2092/91 ) and follow the Mission-Statement of the WHO ,the new Health Claims Regulation of the EU EG Nr 1924/2006 . The observance of short and efficient itineraries and preferably regional production and the observation and avoidance of CO2 and rules for social , ethical compliance is constitutive of our approach. Many of these products also are anti-fungicidal and anti-carcinogenic, vegan and suitable for diabetics. They also include recipes that, in terms of quality, compete with the finest gourmet cuisine and have repeatedly been decorated with the rating „The Best from Germany“ („Das Beste aus Deutschland“) by the gourmet magazine DER FEINSCHMECKER (The Gourmet). They are designed systemically to be used in gastronomy, catering and the medical wellness sector in an economically reasonable and convenient way (modular principle). On demand, specific health effects can also be considered and qualified by the Ecowellness qualification board e.V Berlin. a) Determination of your metabolism-type through a questionnaire and the internet with an evaluation and recommendations program published by R.S Tomek . b) Laboratory analyses of stool, oral cavity and blood for the risk analysis and optimisation of the intestinal flora, hormons and allergies based on a strategic partnership with the wholesale laboratory Dres.Hauss in Eckernförde, Germany and the corporation. HEPART AG, Kreuzlingen Switzerland, these analyses can be marketed in Europe by ECOWELLNESS as part of its unic holistic corporate and private health-security program. d) DCA immunity tests (for the non-specific immune system) according to Prof. Dr.Vlček and the associated programmes and other medical diagnostics. 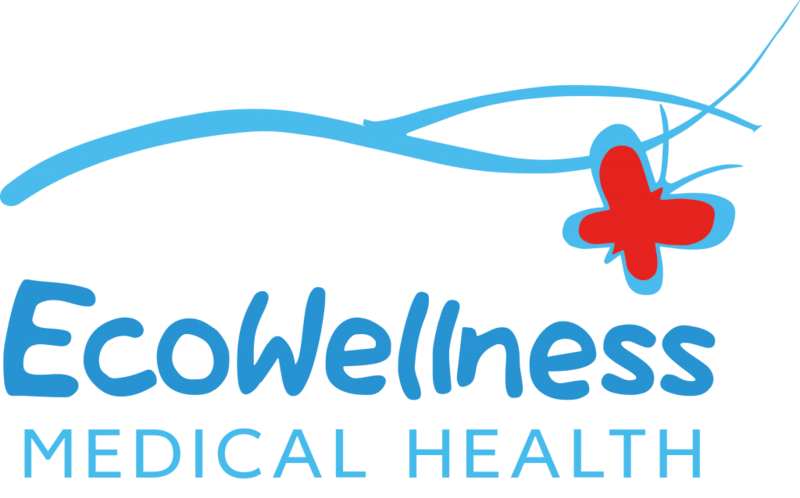 Specific medical wellness programmes, technological products like LED -systems for better light and less energy-systems and scientifically tested devices according to EcoWellness criteria (e.g. on the subjects of infrared, sauna, hydrotherapy, phototherapy, massaging benches, energy, electric smog & dust measurement and diagnostic devices) with specific forms of knowledge transfer through seminar programmes, cookery courses, lectures and workshops. Principles, business models, programmes and recipes for your company’s health protection and healthy, ecological systems, according to metabolic types, especially for canteens and incentive health events and business travelling to avoid risks. Partners will be advertised as a strategic competence partners in all relevant means of promotion , the consultants , agents and the scientific board and on the website by INART and vice versa. Marketing and promotional activities as well as the costs and the terms of cooperation , prices and distribution details will be determined in detail concertedly each year and are respectively part of the general agreement. The contracting parties are mutually obligated to inform each other on current medical, technological and scientific innovations and findings, provided that INArt gets the network of experts and therapists managed by INArt involved in this context. In the case of difficult problems with customers, members of staff and providers the parties exchange information and provide each other advice. INART and its partner will neither now nor in the future themselves or with a third party realise a business model for the selected products, systems and business model alike or similar in the areas in Europe described in the detailed distribution agreement with a competitor and will recommend the INArt’s model and services to their business partners as well as in public and vice versa. INArt and its partner commit each other to acknowledge the other party’s right of first refusal with respect to further services for third parties going beyond the already existing services that are subject of this contract. Partners are committed to carefully studying and implementing all systems, recipes, instructions and all information, to discussing changes in procedures, systems, prices and terms with and have them approved by EcoWellness and their scientific and legal ecowellness qualification board. They are committed to keeping the programmes, recipes, questionnaires and concepts in confidence and to not – themselves or assigned to third parties – producing and selling systems alike or similar either under the aforementioned brands and slogans or under their own name or by associated companies or persons. Private use within the immediate family circle and for staff members working predominantly full-time is exempted from this commitment. INArt / EcoWellness sees to new developments, new products, the integration of its partners in PR and sientivic promotion, to coordination with other licensees and/or strategic partners, to quality control as well as to the brokering and the exchange of information with other eligible licensed experts, physicians, therapists, hotels, clinics and health centres, and the trade et al. for the purpose of cooperation. INArt will select and organize the annual audition according to the terms and regulations of this agreement and the EcoWellness standard and G-Live will accept and support this audition. Partners have the right to advertise their membership in the INART-network and the EcoWellness quality standards on business papers and cards, flyers and signs as well as on their own website – and vice versa – and thus to boost brand and network altogether based on a detailed agreement. In the event of capital increase the contracting partners are granted preferred INArt shares in their role as strategic and/or license partners in relation to and for the duration of a given contract. In terms of a strategic partnership, the preamble and INArt’s corporate vision, taking a position as a shareholder is expedient. The details of the shareholding are arranged separately. In case of the partners’ withdrawal, they are committed to offering their shares to InArt or InArt’s shareholder first, thereby granting them right of first refusal. This contract begins with the date of its signing. Its duration results from the general specific distribution agreement, witch is part of the contract. Unless otherwise arranged, the contract duration amounts to 2 years and is extended to another 2 years if it is not cancelled in written form by one of the contracting parties on 3 months notice. (1) Irrespective of the contract duration mentioned in § 7 each contracting party has the right to terminate the contractual relationship for cause according to § 314 of the German Civil Code (BGB). (2) A termination without notice must be in written form and announced via registered mail (with an advice of receipt) to be effectual. (1) Once this contract is terminated partners are no longer entitled to use promotional material, brochures, price lists etc., websites and links that refer to licensed objects or the know-how of INArt or INArt’s contracting partners. A grace period of three months for the usage of remaining promotional material, brochures or price lists from the date of contract termination on is granted. As long as the brand name, other products or immaterial goods are used a license payment is to be adduced on a pro-rata basis. (2) Whilst duration and also after termination of the contractual relationship between the contracting parties partners are committed to comprehensive secrecy with regard to information that goes beyond the content regarding the inventions and made accessible with publication of the letters of protection. (1) Both contracting parties commit themselves to settling disputes cooperatively and through dialogue. The may enlist an arbiter’s or mediator’s assistance if requested by one party. Both parties choose a mediator consentaneously and bear the costs for the arbitration in equal shares. (2) If the contracting parties cannot settle on a arbiter or mediator within 4 weeks or an amicable arrangement does not succeed within 3 months (3) is subject to the legislation of the Federal Republic of Germany excluding the CISG. (4) Place of jurisdiction for all disputes based on this contract is the court of Milano and the Italian civil code in the case that g-life does not agree to the proposal of the arbiter or mediator or the proposed settling. And vice versa if INART does not agree to the proposed arbiter or mediator or the proposed settling the place of jurisdiction will be the court of Berlin and the civil code of Germany. (5) If a provision of the contract is void, invalid or infeasible, this shall not affect the validity of the other provisions of this contract. The invalid or infeasible provision is then replaced with a provision that comes closest of what the contractual parties intended or would have intended. The same shall apply if the provisions of the contract are found to be incomplete. The legal fees for this contract are borne by the contractual parties themselves. Konzeption | Design | Programmierung von kameraWERK.